So many of the stories that we seek to cover fall underneath the umbrella of local makers, men and women creating with their own two hands a local economy movement. We often meet these folks for the first time and get to know their stories in coffee shops, partly because we’ve typically driven several hours to be there and are simply (visibly) in need of the caffeine. But partly, there simply isn’t a better place to meet a stranger you’re sure to soon call a friend. Creating a magazine is actually a lot like opening a coffee shop. There’s oodles of them out there, and you have to decide what’s going to make this different, make it yours. And in some cases there’s just overlap. It’s inevitable. You’re still serving the same product, but the hope is that you catch that crowd who’s still seeking that thing you’ve got to offer. We want our stories to have depth, to encourage; not to quell fears, necessarily, but at least to say that they’re worth facing. That doesn’t mean that they aren’t sometimes entertaining, but we’re seeking to share narratives that may require a bit more of the reader. 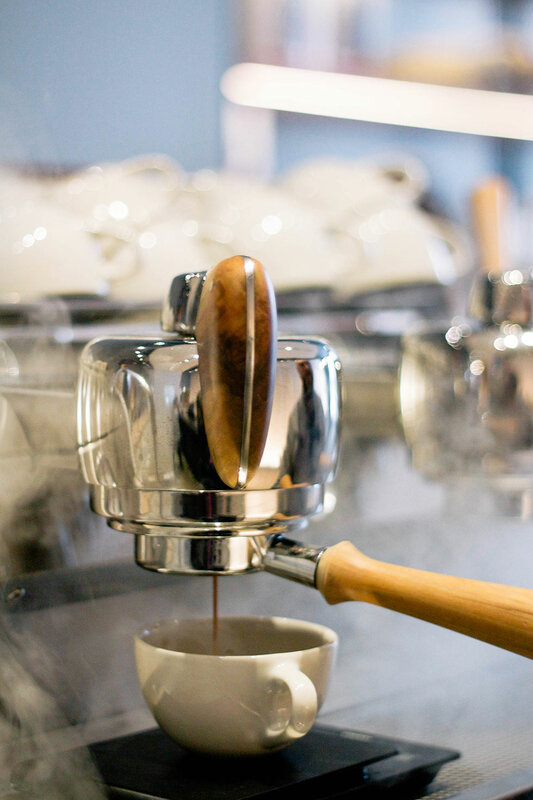 Enter Revelator Coffee Company, a fresh charter of craft coffee purveyors sprawling across the Southeast at an impressive rate. Revelator is a new breed, meeting their customers with an invitation to dig deeper into their own understanding of the beverage they’ve come to consume. Leading the foray are Josh Owens, Emma Chevalier, Elizabeth Pogue, and a recent addition, Meredith Singer. Originally a New Orleans based company, they’re striking up through Alabama to Tennessee, and soon scaling even further east. The so-far trio of shops is already making it’s mark on the South’s cityscape. They’ve got the ambition and a marketing strategy of a much larger company, but a resilient commitment to honoring the local community wherever their shops settle. From the merino wool blankets of Virginian Nordt Family Farms stocked on their merchandise shelves, to the Louisville Stoneware right out of Kentucky that cups each hand-crafted beverage they pour, they invite their customers to share in their adopted heritage. 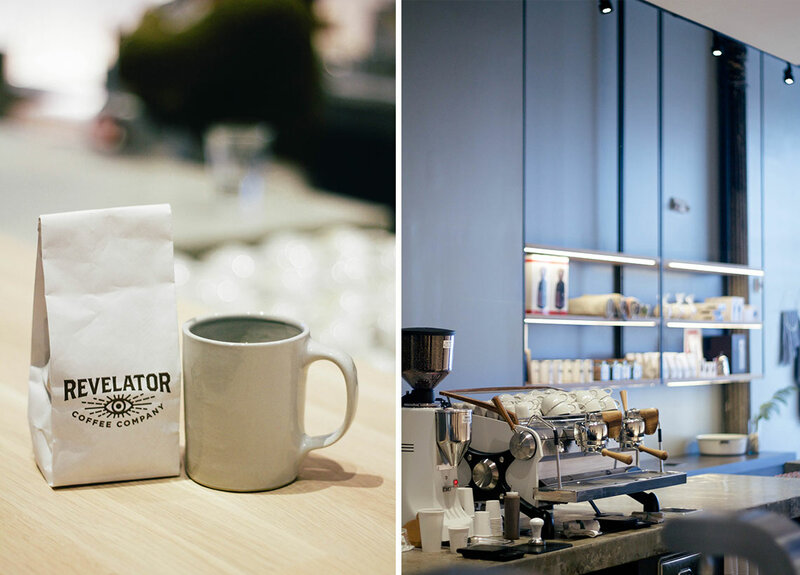 Among the fine coffee culture emerging, Revelator sets itself apart with bold visions of becoming a Southeastern staple. 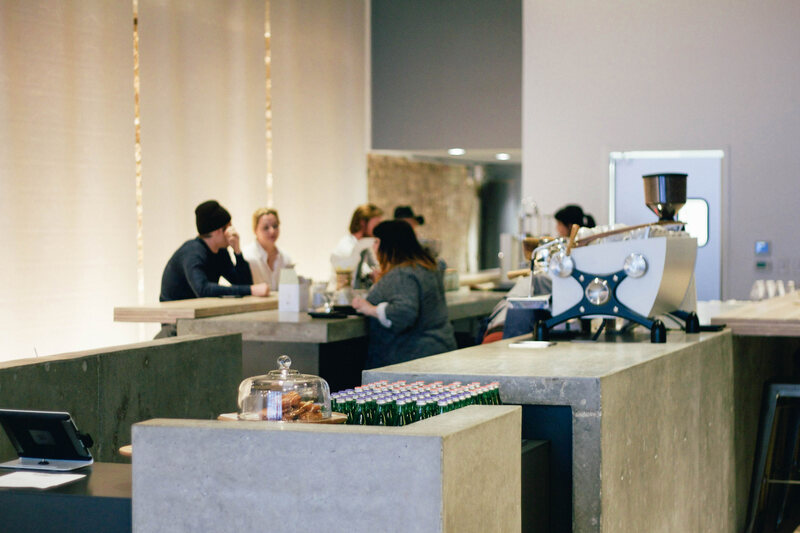 The store aesthetic and the Revelator menu are both incredibly minimal – no frills – in an effort to accentuate the flavor profiles of each individual coffee. Rather than burden the beans with syrups and heavy set sizes, Revelator removes every barrier possible to that finessed taste. They intentionally strip any and all barriers so commonly found between the consumer and the coffee. The focus is then left on the experience Revelator supplies. They also emphasize the barrier they’ve so blatantly removed between barista and beverage buyers. On top of the bar, this is little to no obstruction, leaving space for conversation and demonstration. In effect, removing the veil of equipment or decoration between the baristas and the customers allows for moments of curiosity to blossom. For instance, at the bar in the Birmingham store the vessel used to brew cup after cup of loose leaf tea is aptly named the Steampunk for the process by which boiling water billows up and around the tea leaves, brilliantly extracting the flavors as they tumble against one another, all visible behind the clear glass of it’s towering cylindrical chamber. 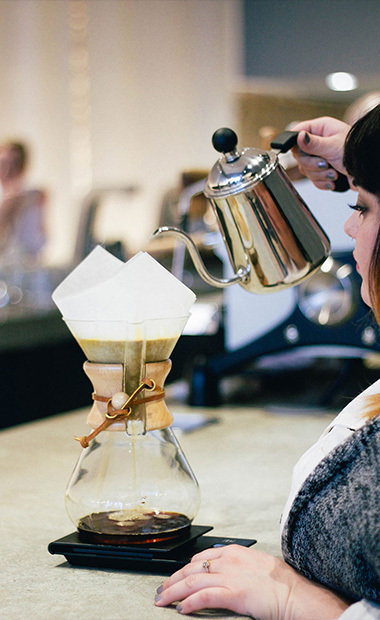 Nearby you might catch the bloom of bubbles at the pour over bar, so close you could reach out and touch them. The precious, patient moments taken on each pour over grant yet another opportunity to share between the two sides of the bar. At the very least, it’s fanfare you can hardly hope to ignore. Perhaps it’s a momentary spark of intrigue and questioning, greeted by the knowledgeable mind on the other end of that steady, pouring hand. At it’s best, the rich, black grounds that swell and subside provide a moment of deep bliss for knowing spectators. As a culture, Americans have long since forgotten that coffee is indeed a luxury import. Though right and fair to enjoy it’s comforts daily, Revelator seeks to remind the consumer just how incredibly special this single beverage is. They do so through upholding three company-wide tenets of operation. First and most important, is impeccable service. 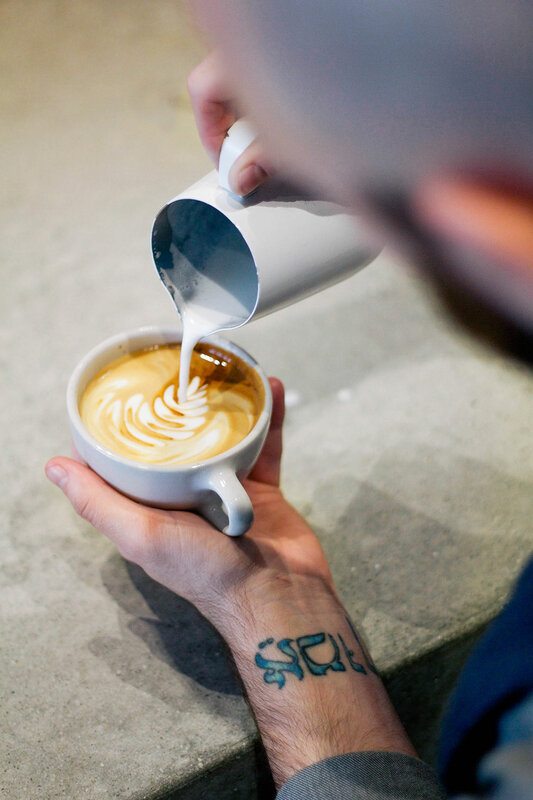 Each Revelator barista is chosen not only for their zeal to create incredible coffee, but for their outstanding commitment to connect with and care for customers. They are trained to the utmost level of their craft, and then given the freedom to express their own creativity behind the bar. Revelator also houses each of their stores with uncommon care. In each current location and every one to come, the team chooses an existing space that reflects the heritage of the city itself. Rather than descend upon some open ground and erect a vision all their own, Revelator seeks to be an ally of revitalization already at work in these Southeastern cities. Not only the space, but neighborhoods once vibrant with commerce and culture are prime candidates for their efforts, and aesthetic. While the equipment and color palette of Revelator’s brand reflects the sleek modernity of an emerging franchise, the design is decidedly historic. Exposed brick, loft-high ceilings, and an almost untouched exterior are only a few of the ways they seek to honor the space they’ve become a part of. 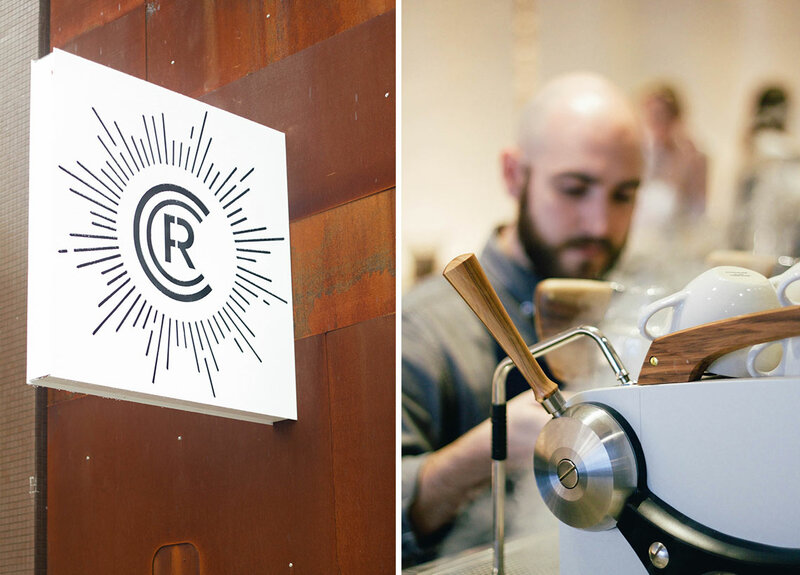 The final ingredient in Revelator’s credo is an incredible coffee experience. While this may seem the only thing worth bothering with, the team regards the coffee as a part to a whole, each accentuating the splendor of the other. The simplified menu offering is again an intentional ode to the sophistication and purity of their product. 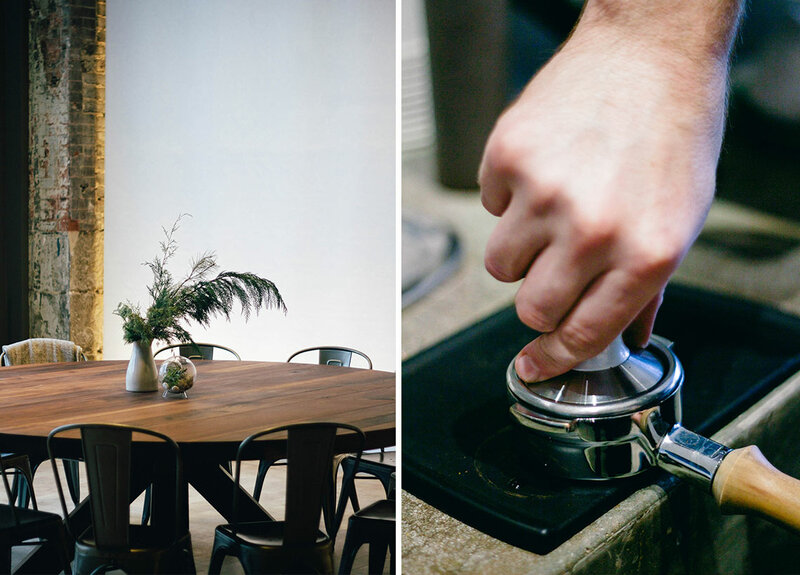 Proud is an understatement, and from pluck to pour, the Revelator team is tireless in pursuit of the perfect cup. They select and perfect each according to it’s kind, prevailing upon whatever means necessary to extract the very essence of origin and arabica. They began with choosing a line of equipment so fine, you’re not sure whether or not you should be embarrassed to stare. 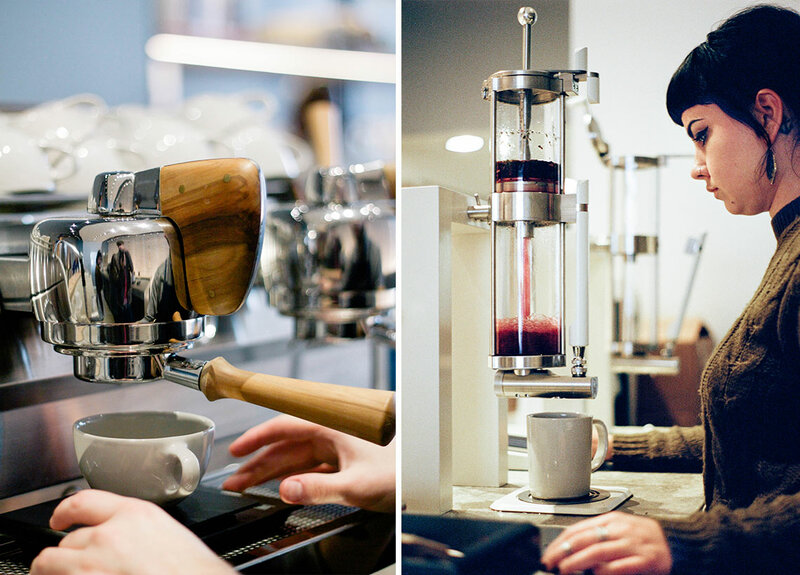 Like the celestial-sent tea maker, espresso at Revelator is passed through a titan of modern machinery, The Slayer. 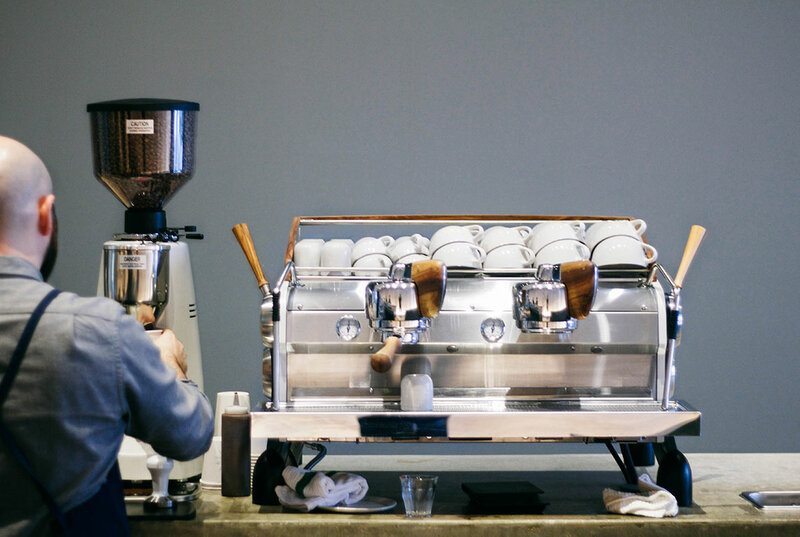 Not your average espresso machine, these badboys are imports from Seattle, WA and “built to thrive under the command of the world’s best baristas” (slayerespresso). It offers precision in control over steam, temperature, and extraction, crucial elements to emancipate the subtle flavors of each roast. Emma Chevalier, Revelator’s Director of Coffee, reminds us that as much as their stores strive towards supporting local purveyors, coffee is not a local product. In striving to offer the freshest coffee possible, they have in the works their very own roasting facility on First Avenue in downtown Birmingham. This addition to the Revelator fleet offers a slew of benefits. First, roasting in a centralized location to their current stores means they dispatch the freshest roasts possible with the shortest shipping time. Second, it allows the team to vertically integrate, meaning the needs at each level of the business are met by another level. The roastery relieves each location from having to find a source of coffee nearest them. As a result, Revelator can guide the experience of the end product with even greater precision. The literally limitless range of obtainable tastes is a result of coffee’s inherent mutability. It is constantly changing, from day to day, season to season. Roasting the beans themselves gives Revelator the opportunity to be constantly dialed into those transitions. And although the roastery will not necessarily be frequented by the customers it serves, its proximity enhances the accessibility of the brand. The impending roastery is also part of an even larger vision than creating a chain of affably chic coffee shops. In true Revelator form, the hope is to become an extension, or rather an integral part of the the Southeast’s dynamic food culture. They are soon to offer not only their own roasts, but their expertise in operations to local chef, restaurants, and even other coffee joints in town. Akin to honoring the legacy of the spaces they inhabit, Revelator is making strides to become a part of the future Southern palate. At every turn, the brand magnifies the heritage of the region. Dining in the South has naturally been a more local experience; seasonal by default. 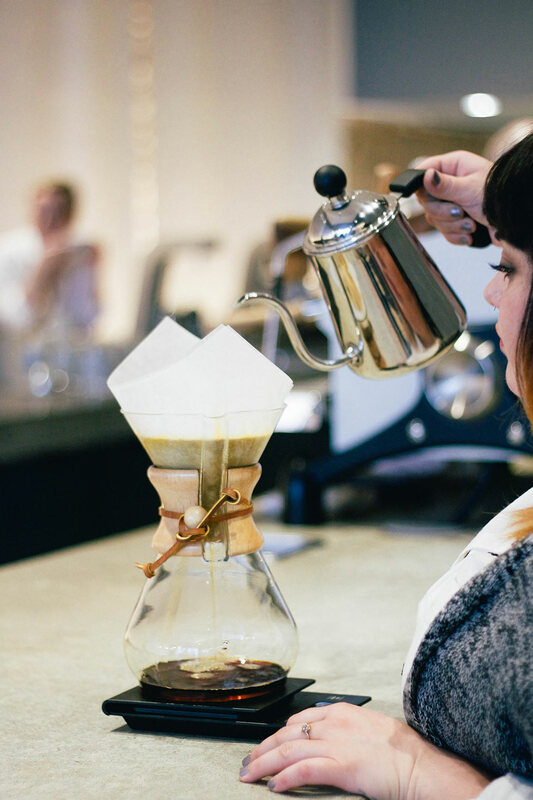 Though naturally innovative, Emma and the baristas wield their brewing wisdom and talents to tease out the immortal flavors of traditional Southern agriculture naturally present in the coffee. We can’t promise there’ll be tobacco flavored lattes or Fried Chicken Cortados (you’re welcome), but you can just as well expect to find the taste of a languid porch swing pointed towards a blazing summer sunset. In essence, the care taken with each cup yields an experience worthy to complement the finest in Southern cuisine. After only a year and a half since the decision to launch Revelator, they’re assertively pressing forward. With momentum building from the beginning, there’ll be no slowing their expansion anytime soon. Chattanooga is the next lucky target, set to open any day now. Revelator’s unique blend of service, space, and sips is already at work, engaging the community and creating an atmosphere unlike any other. The name itself lends a hand in shaping the nature of the experience you’ll have at any Revelator location. As a an avid consumer of the stuff, I expect to revel in my daily cup. I joke that we’ve become snobs, exposed to the sharp talent and devilishly delicious varieties of the Birmingham location, we can never go back again. So there’s that; the reveling. “Revelator” is one that reveals, and as you will find upon entering, the staff stands true to that calling. The sharing of knowledge and conversation – potent sources of revelation – the space, and the experience itself is a hoped source to reveal the intrinsic beauty of the community it serves.